Minnesota's magnificent and diverse geography is on glorious display via these twelve stunning photographs. 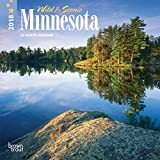 You will also get to know this fascinating state better in our unique calendar that features suggested destinations, annual events and helpful websites adding even more enjoyment to your future Minnesota road trips. The large format wall calendar also includes six bonus months of July through December 2018; large daily grids with ample room for jotting notes, appointments and reminders; moon phases; U.S. and international holidays. The Twin Cities Events Calendar showcases Minneapolis and St. Paul during every season of the year. You'll see the beauty of the city lakes, parks and gardens and also find a monthly "Special Attractions" column listing everything from Broadway Plays to the Minnesota Opera. As a bonus there is a 2-page "Number Please" directory providing telephone numbers for music, dance and theater, museums, performance halls and sports organizations. 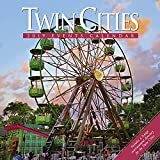 The calendar is a terrific planning guide, memento or gift for all residents of the Twin Cities and for anyone who yearns to travel there. 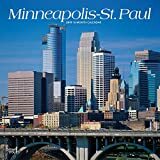 Visitors to the Twin Cities of Minneapolis and St. Paul are impressed by the friendly people, excellent theater, and celebrated music scene. Miles of glass-enclosed skyways allow residents and visitors to travel from building to building without stepping outside during the cold winter months. And in the summertime, exciting festivals bring people outdoors. And there’s always world-class shopping at the Mall of America. Celebrate these two exciting cities with this Minneapolis-St. Paul square wall calendar. 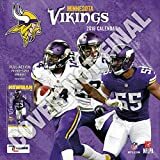 Made for passionate football fans, this team wall calendar includes poster-sized action shots of your favorite players from the Minnesota Vikings every month! Each month also includes professional athlete bios and new graphics featuring the Vikings team colors and logos. 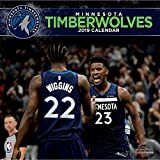 Made with exceptional quality, the 12x12 calendar also includes bonus pages that features Sept. - Dec. 2018 and the past Super Bowl results! An absolute paradise for sportsmen and nature lovers, Minnesota is a treasure trove of lakes, forests, and spectacular scenery. The opportunities for outdoor fun are seemingly endless here. Cross-country ski past a frozen pond. Fish for tasty walleye on on a calm river, or watch for birds along its grassy banks. Hop from boulder to boulder, and skip stones from the shore of lovely Lake Superior. 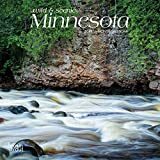 Tour wild and scenic Minnesota with this splendid mini square wall calendar. 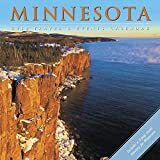 An absolute paradise for sportsmen and nature lovers, Minnesota is a treasure trove of lakes, forests, and spectacular scenery. The opportunities for outdoor fun are seemingly endless here. Cross-country ski past a frozen pond. Fish for tasty walleye on on a calm river, or watch for birds along its grassy banks. Hop from boulder to boulder, and skip stones from the shore of lovely Lake Superior. 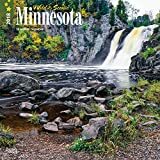 Tour wild and scenic Minnesota with this splendid square wall calendar.